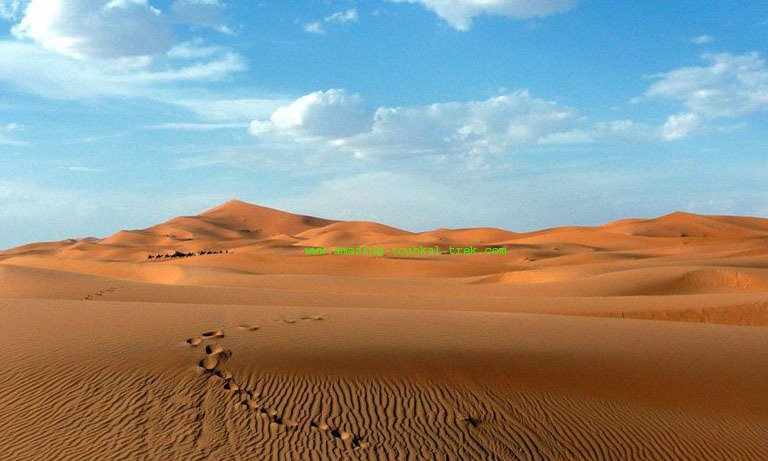 A Wonderful 3-day 2-night Marrakech Fes desert tour to combine both imperial cities and Sahara desert. 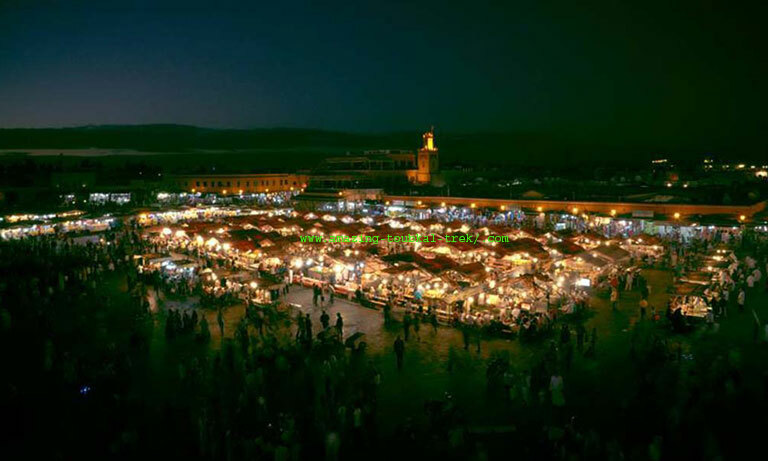 The tour starts at Marrakech and taking you to the final destination of Fes, the first imperial city in Morocco. During this tour, you will discover the most exciting sites in south Morocco. You will visit Ait Ben Haddou Kasbahs, Dades, and Todra gorges and Merzouga. In the desert, you will get a chance to ride camels, enjoying sunset & sunrise, local music at night around the fire. You will also sleep in a Berber camp under the canopy of stars, an unforgettable experience. Finally visit the Cedars forest in the middle Atlas, to enjoy seeing monkeys climbing the cedar trees. Leaving Marrakech early in the morning, and drive towards the Tichka pass 2260m. We will visit the Kasbah Ait Benhaddou, the UNESCO World Heritage site, and lunch will be in Ouarzazate the capital of cinema in Morocco. We then visit the Kasbah of the city and drive to Skoura oasis, Kalaat M’gouna and Dades valley by the Road of Thousand-Kasbahs. Overnight in a hotel near Dades valley. Immediately after breakfast, we’ll take a drive from Dades gorges to Erg Chebbi dunes. Then, we will visit Todra Gorges and continue to Merzouga. After having a quick rest in the hotel, you’ll ride camels into Erg Chebbi dunes to our camp. Overnight in a Berber Tent after a camel trek. Wake up for sunrise; then you ride camels back to the hotel. After breakfast, we leave for Fes through the Middle Atlas mountains. We will pass Rissani and Tafilalet town, the center of Allaouit dynasty and Ziz valley. Lunch will be at a local restaurant in the Middle Atlas; then we continue driving through the cedar forests. We pass Azrou typical Berber village in the middle Atlas and Ifran with its vast cedar wood forest, and wild monkeys. You arrive in Fes and overnight in a Hotel. 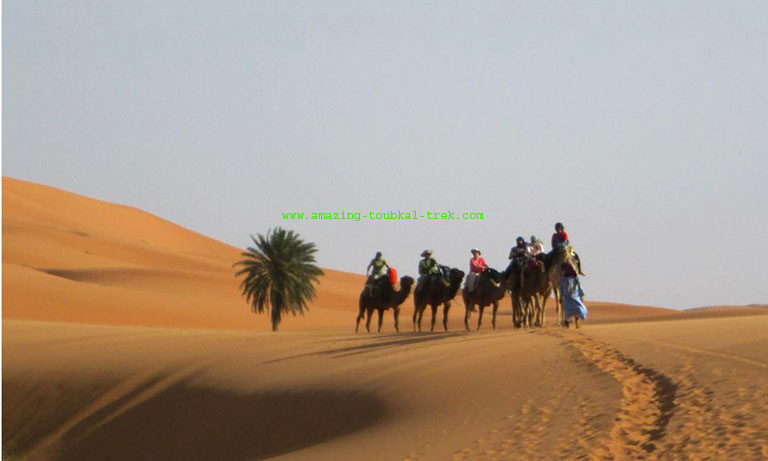 – This Marrakech Fes desert tour is available and can be arranged for groups of all sizes. Marrakech Fes desert tour: 3-day trip to Fes via the Atlas Mountains, old Kasbahs, Oasis, and Gorges. Marrakech Fes Desert Tour, Sahara Desert Tour to Fes.